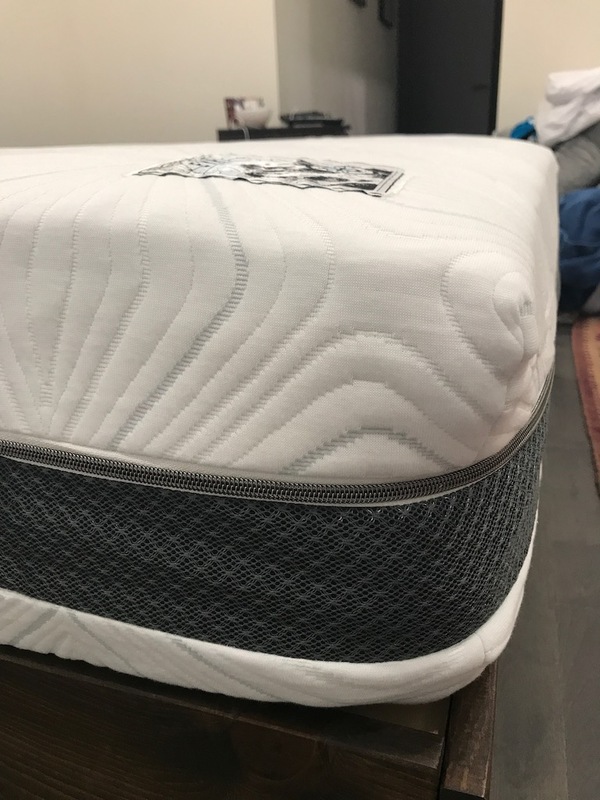 This Eyri Iceland Arctic Rest Mattress Review was completed by the MattressJunkie.com team recently. Eyri Iceland sent over their mattress in queen for us to put through the review process. The retail price for this mattress is $895. Eyri is a fully Icelandic owned business that has been around for 35 years. Eyri’s specialty is mattresses and they recently started selling in the US. Check out how the Eyri Iceland Arctic Rest Mattress stacked up against the competition. 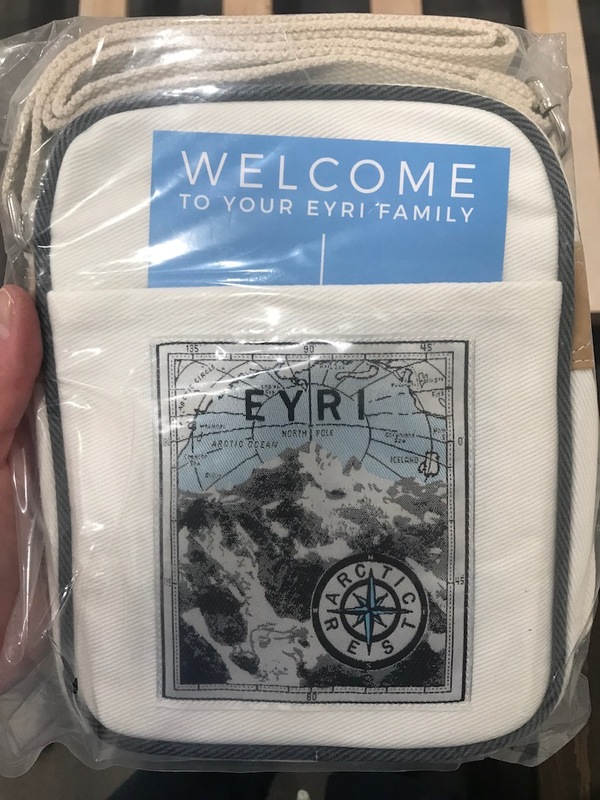 What’s the Eyri iceland Arctic Rest Mattress Cover Made Of? 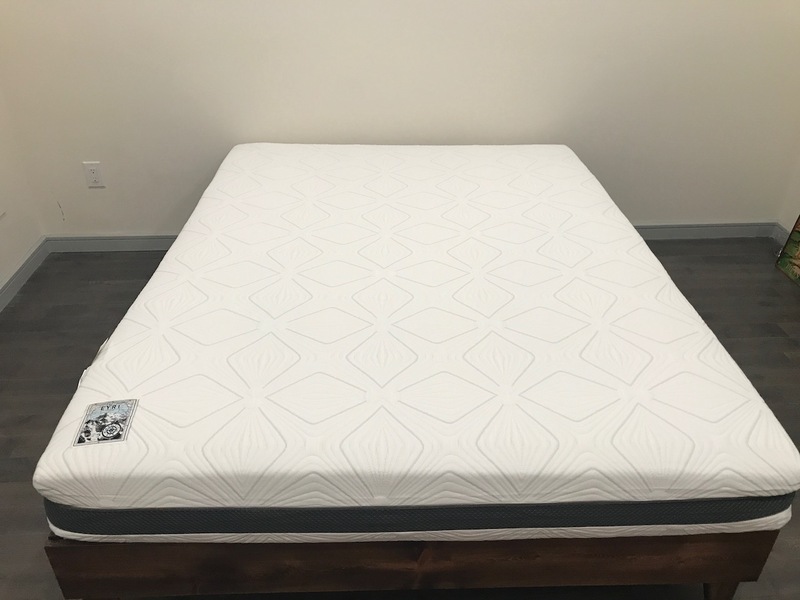 The Eyri Iceland Arctic Rest Mattress has a Vent-Eyri ticking cover that’s crafted with natural, high quality materials so you get a breathable and durable cover. The design is aesthetic and the mattress is mostly white with a dark blue accent. 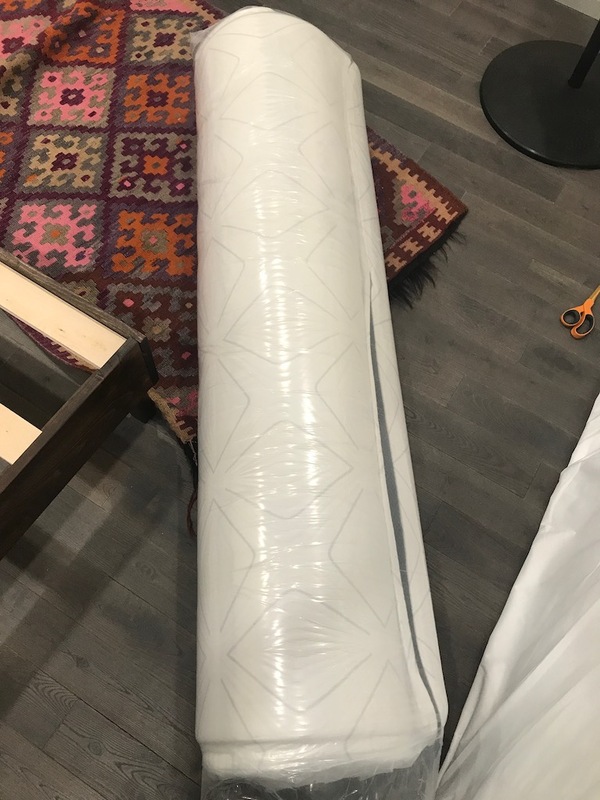 What’s Under the Eyri Iceland ARCTIC REST Mattress cover? The Eyri Iceland Arctic Rest Mattress is a hybrid mattress measuring 11 inches in height and comprised of 5 layers after the cover. Directly under the cover is a fire safe, flame resistant barrier. The next layer is made up of pure sheep’s wool. The pure sheep’s wool helps with temperature regulation and moisture control. This regulating layer is responsible for keeping the surface cool in the summer and warm in the winter. The 3rd layer is the comfort layer. This layer is made from the sap of the Hevea barasilensis tree. This natural tree latex layer prevents the formation of pressure points and provides pressure relief throughout the night. Following the comfort layer is a layer of Eyri- Last Visco Elastic Foam. This high quality support foam contours to the sleeper’s body top provide weight distribution and minimize motion transfer for those that don’t sleep alone. The last layer is comprised of high density support foam. This layer is the base and provides support while aiding in the long term durability of the mattress. What’s the firmness level of the Eyri Iceland ARCTIC REST Mattress? The Eyri Iceland Arctic Rest Mattress is listed as a luxury firm. We thought the Arctic Rest was one of the firmer mattresses we have reviewed. What Sleep Position Works Best with the Eyri Iceland Arctic Rest Mattress? The Eyri Iceland Arctic Rest Mattress would be excellent for stomach sleepers and back sleepers. 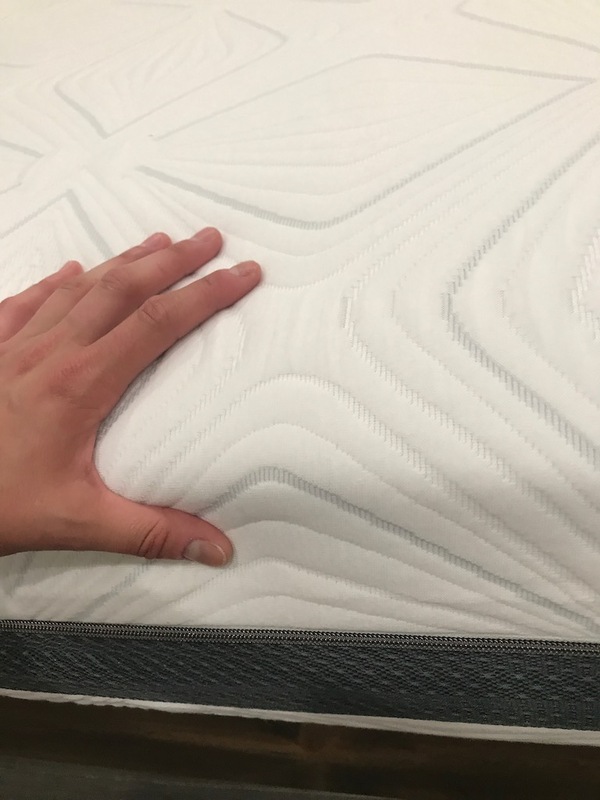 The firm mattress gives a perfect level of support without sinkage. How is the Edge Support on the Eyri Iceland arctic rest Mattress? Edge support is often weaker on memory foam mattresses. Those that use the edge of the bed for sitting or other activities, are not always pleased with the edge support. Eyri Iceland Arctic Rest Mattress, being latex, has better edge support than the traditional memory foam mattress. What type of base should I place my Eyri Iceland Arctic Rest Mattress? As you can see from the photos, we reviewed the mattress on a platform bed. Eyri recommends sleeping any firm, flat surface such as a box spring, platform bed, or floor. Most mattresses have an odor to them when you unroll and remove the vacuum sealed plastic. This chemical type smell is called off-gassing. Off gassing is not harmful nor toxic in any way. As your mattress breathes, the off-gassing smell will fade. Eyri Iceland Arctic Rest Mattress did not have a smell for longer than a few days before fading. What Type of Warranty and sleep trial Does Eyri Iceland Arctic Rest Mattress Offer? 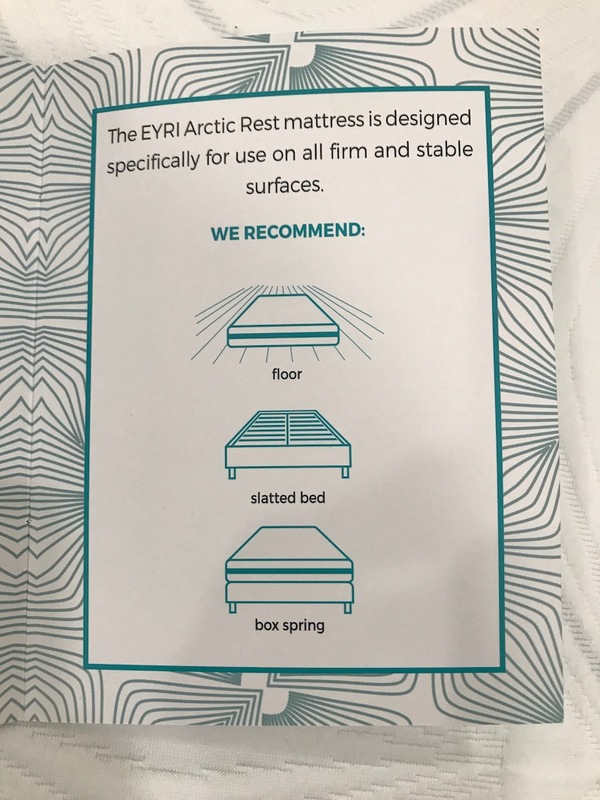 The Eyri Iceland Arctic Rest Mattress has a 10 year warranty on manufacturer defects so you don’t have to worry about any issues that arise with your mattress. Eyri provides 90 nights as a sleep trial so you can return it with a full refund in the first 90 days. 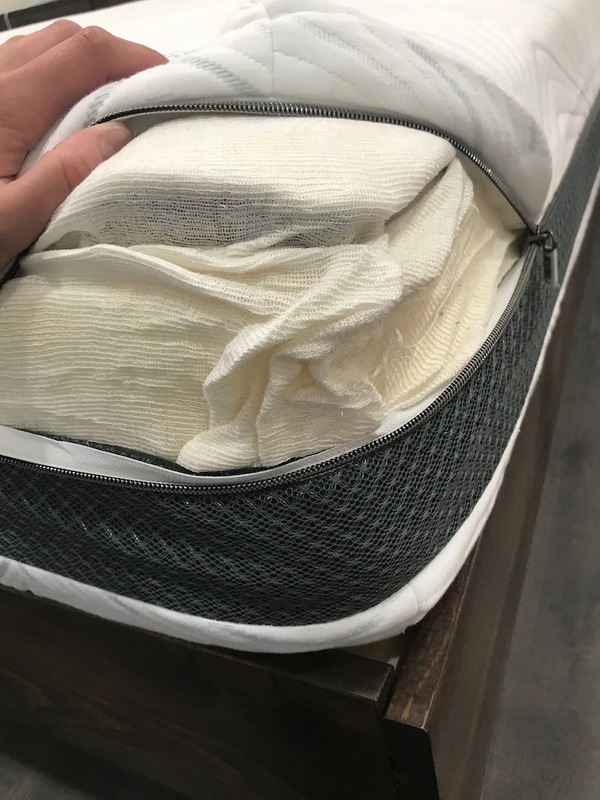 Is My Eyri Iceland Arctic Rest Mattress Made of Safe Materials? Eyri is made from high quality materials that are Certipur-US Certified so you and the environment are safe from any harmful toxins. How much does the Eyri Iceland Arctic Rest Mattress cost? Do we recommend the Eyri Iceland Arctic Rest Mattress? If you want a mattress that provides excellent support, high quality, and provides a firm surface, Eyri Iceland Arctic Rest Mattress would be a great option for you. 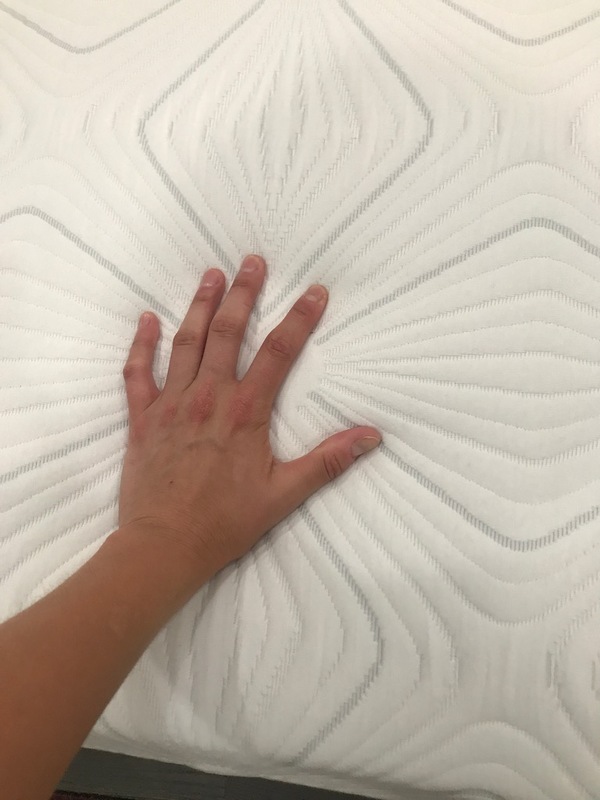 The mattress is very aesthetically pleasing and very well made. We also love when a mattress comes with extras. 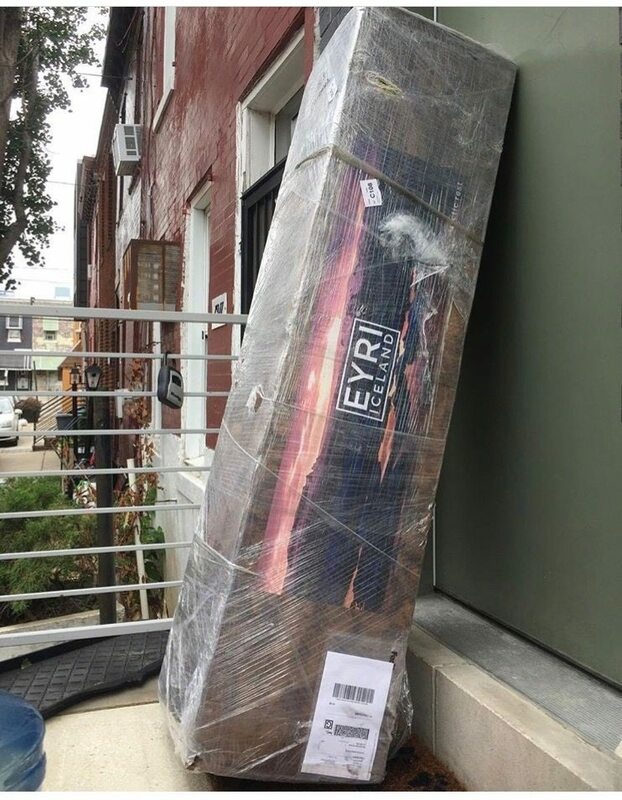 Eyri goes the extra mile and our mattress came with an awesome inflatable lounger as well as a travel bag that included all the materials about the mattress.